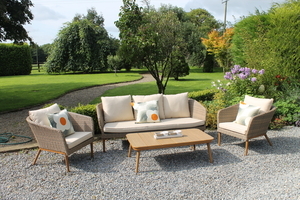 The Bantry lounge set is a very contemporary lounge set. 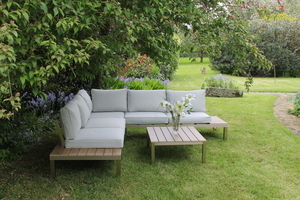 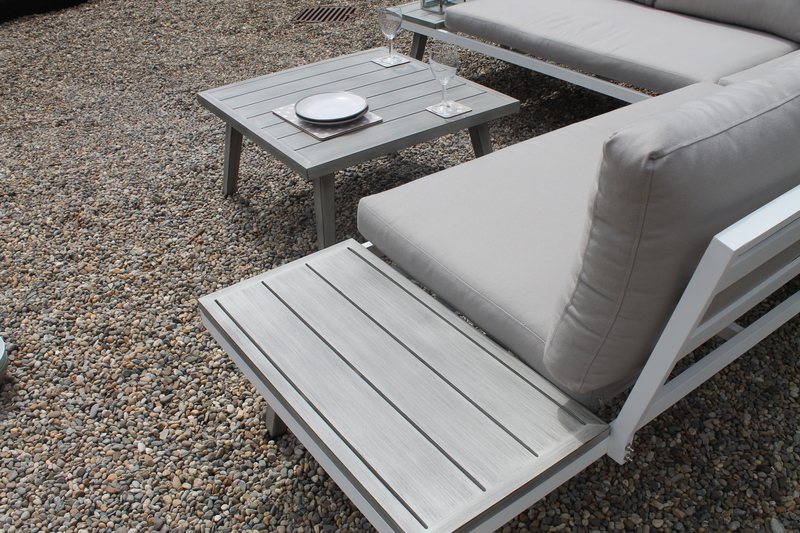 The luxurious grey cushions set off the white aluminium frame. 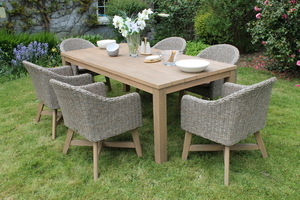 This cool colour combination will give any outdoor dining occasion a touch of class. 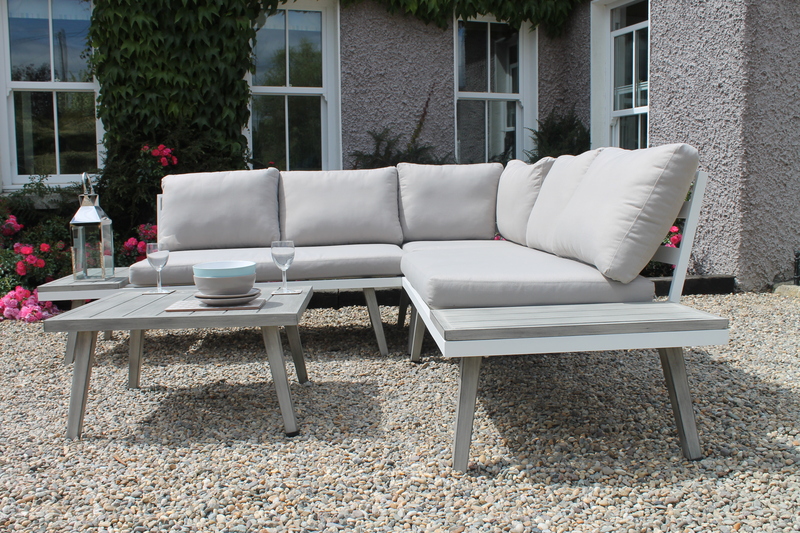 The low coffee table has a poly wood top. 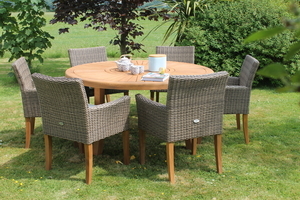 The Bantry lounge set is a very practical outdoor dining set as it is virtually maintenance free – pretty and practical!